Our technicians specialize in performing a wide variety of different garage door repair and installation services. One of the additional things we offer is regular maintenance appointments. With these, we can make sure that your garage door opener, springs and panels, as well as a variety of additional parts, are all properly cared for, and that the system as a whole is in great working condition. Torsion springs, as well as steel rollers and even hinges, all need to be lubricated on a regular basis to ensure that their performance remains optimal. Friction is involved in their operation, and therefore some wear and tear is inevitable. Our technician won't just apply them with the right lubricant to keep their movement smooth and silent; we'll also check the balance of the door and adjust the springs if we find that the panels are getting uneven. To prevent a lot of electrical and mechanical malfunctions, your garage door opener needs to be checked and tested every so often. Our team will inspect its motor and its circuit board to nip in the bud any yet-to-develop-but-soon-to-bloom problems. We'll also test the functionality of its various features, including the safety reversal mechanism. Sensor alignment is incredibly important, as these photoelectric eyes are in charge of detecting obstacles in the door's path, and they must be positioned correctly and their lenses must be clean and unscratched. By having your door serviced on a regular basis, you'll be able to save money on all sorts of problems, as well as keep using the system for a lot longer. When one part breaks down, other components can also suffer due to collateral damage, and even little nicks and scraps tends to accumulate over time. 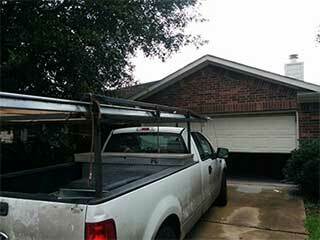 Contact our team at Garage Door Repair Pflugerville today to book a maintenance appointment. We'll see to it that your system is able to function problem free for a very long time.